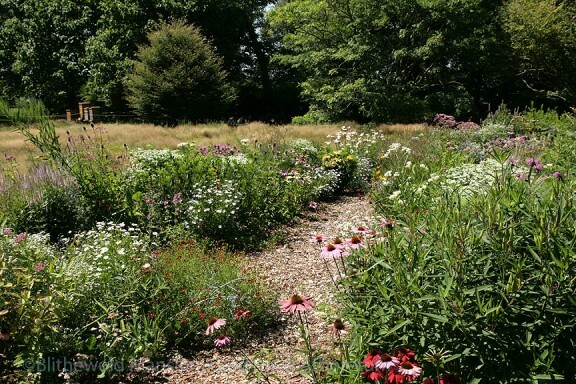 I freely admit that when we moved the Pollinator Garden this spring to its new location at the top of the meadow west of the vegetable garden I didn’t have high hopes for it to … Read more. Lily has to be one of the most overused descriptors in horticulture. Go figure, given how aptly it defines so many flowers: the word itself has a trumpeting flare and and if I use my imagination, a sweet fragrance too… … Read more. I’m asked often enough to name my favorite plant and season that it’s a little strange that hardly anyone* ever asks which is my favorite garden. 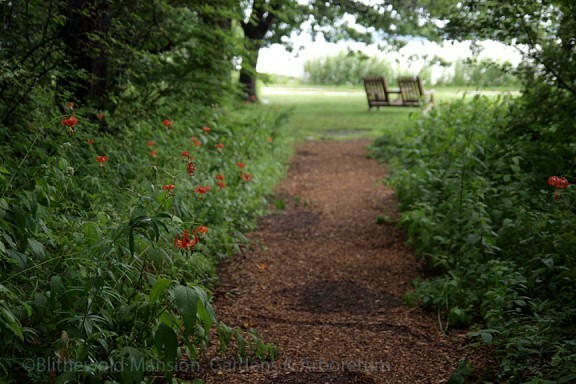 Not that I could possibly pick a favorite (the pollinator garden). But since I … Read more. The to-plant list is getting shorter and we are beginning to transition into a summer-full of deadheading/staking/weeding/enjoying. Right on schedule too: we always aim to be *done by July 4th. 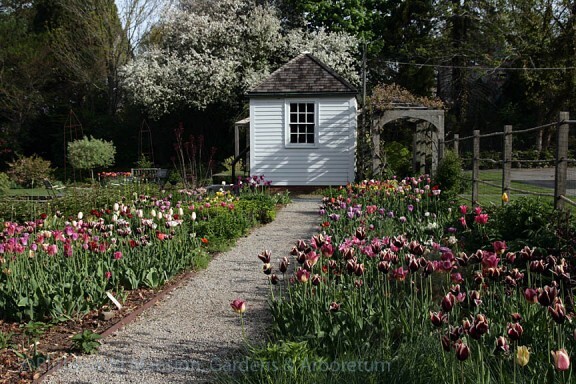 (*No garden is ever done.) This week … Read more. June is full to bursting. Every plant that isn’t already blooming to beat the band is growing gangbusters (weeds included), and to say there’s a lot to do would be the understatement of the season.The long days leading up … Read more. 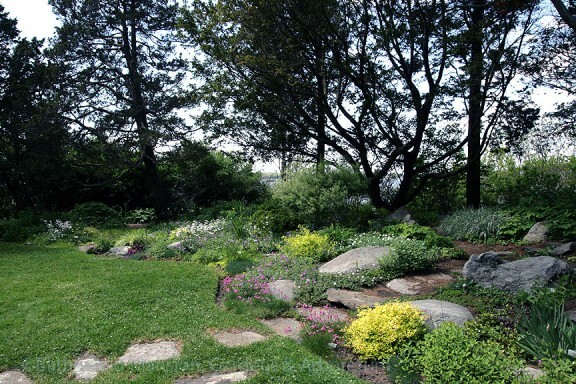 Gardening is purported to be one of the best stress relievers — and it is! 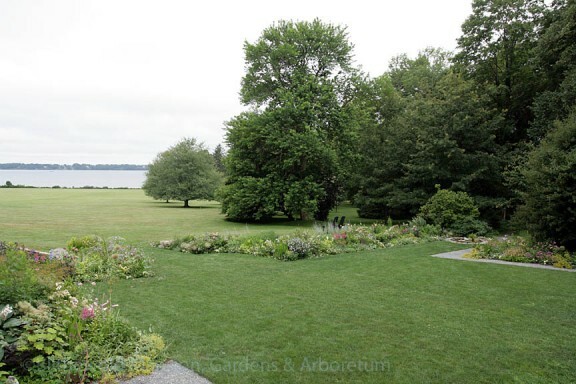 — but the weeks we spend planting the Blithewold gardens always make me feel a little panicky; my blood pressure rises … Read more. 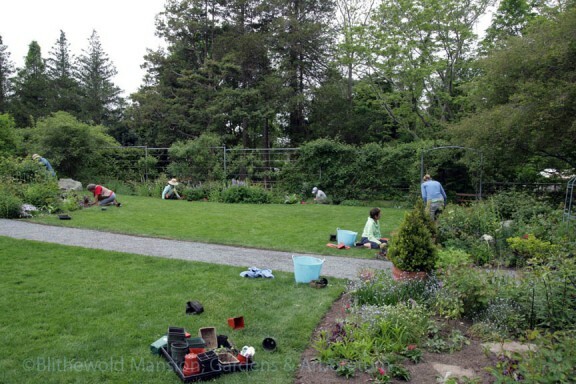 It’s not often anymore that my posts fall on Garden Bloggers Bloom Day and I’m thrilled for the excuse to post endless pictures of what’s happening on the grounds right now. 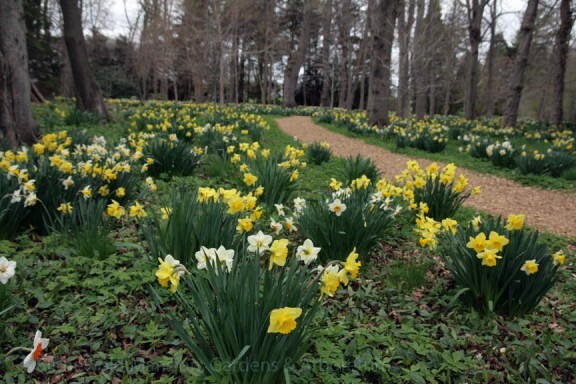 The daffodils have pretty … Read more. 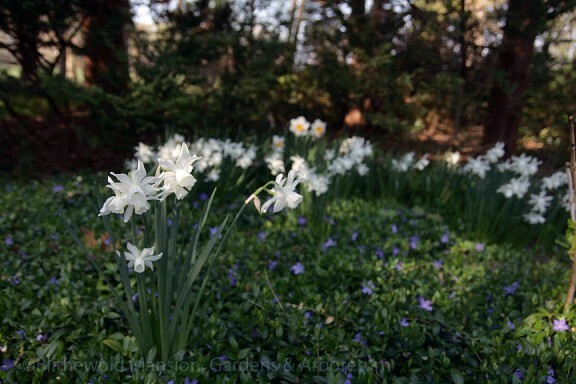 Of all the seasons, spring is the one that puts every sense on high alert. We’re all eyes for the colors, have sharp ears for frog and bird songs (we heard the orioles this week), and those … Read more. 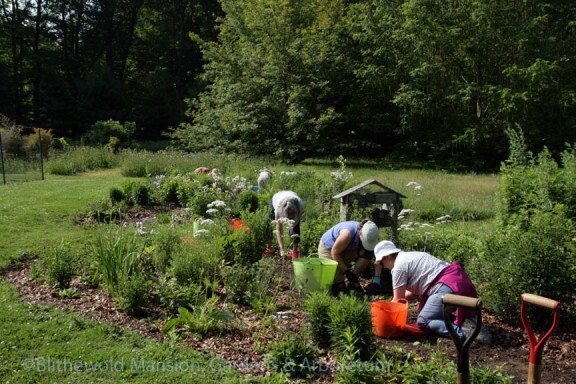 The gardens are on the move, with and without our help. 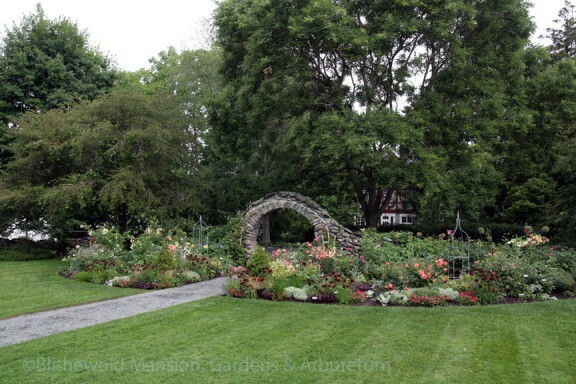 This week the Bosquet made the (subtle) transition from stunning to glorious; the Rock Garden is coming into its May peak; and in every … Read more.